There were so many aspects of the auctioning Saturday of the contents of Hostetler’s Hudson Auto Museum that seemed, well, they seemed sad. On the other hand, if the museum had to close, at least the world’s best collection of Hudson and affiliated vehicles appears to be going to people who will continue to cherish the cars. 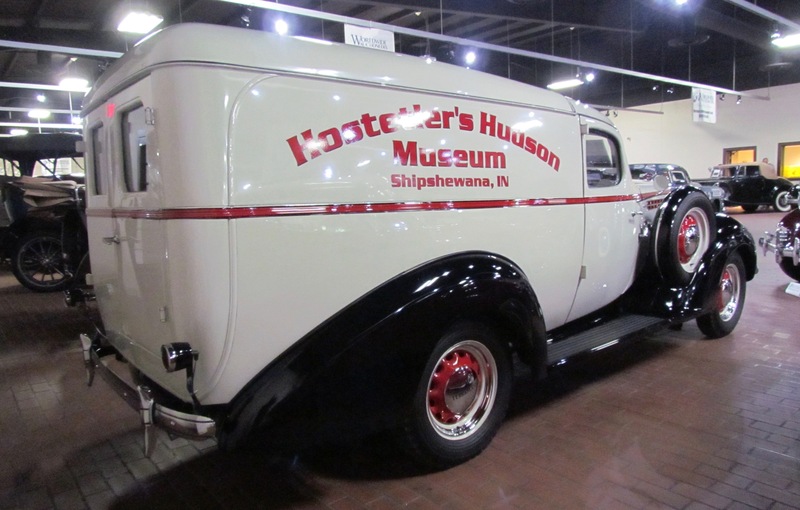 That man was Eldon Hostetler, who not only collected the cars, but donated them to the community of Shipshewana, Indiana, which for several years provided a building to house the museum. But Hostetler died in 2016 and his wife, Esta, followed him a year later, and almost immediately there was talk around town of closing the museum and selling off the cars. There were efforts by supporters to find ways to keep the museum open, but without sufficient new funding sources, the only apparent solution was for Worldwide, based not far away in Auburn, Indiana, to stage the auction. 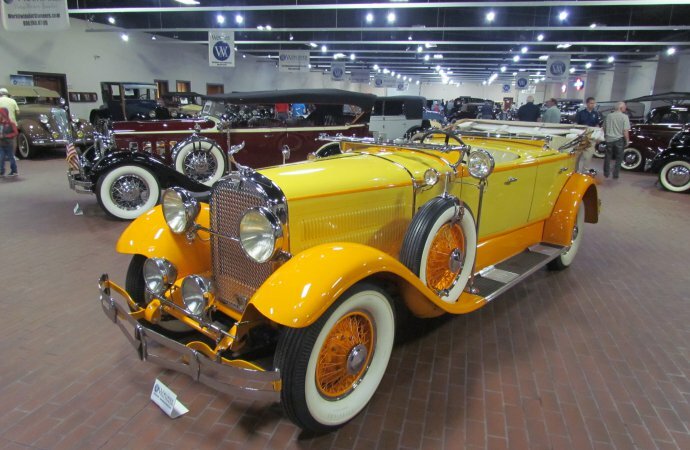 Though many were sad to see the cars being sold, the auction did provide valuable closure for family, friends and supporters, and the cars, mainly Hudsons, appeared to be going to collectors who will value them. The sale drew a standing-room-only audience and many additional bidders by phone. 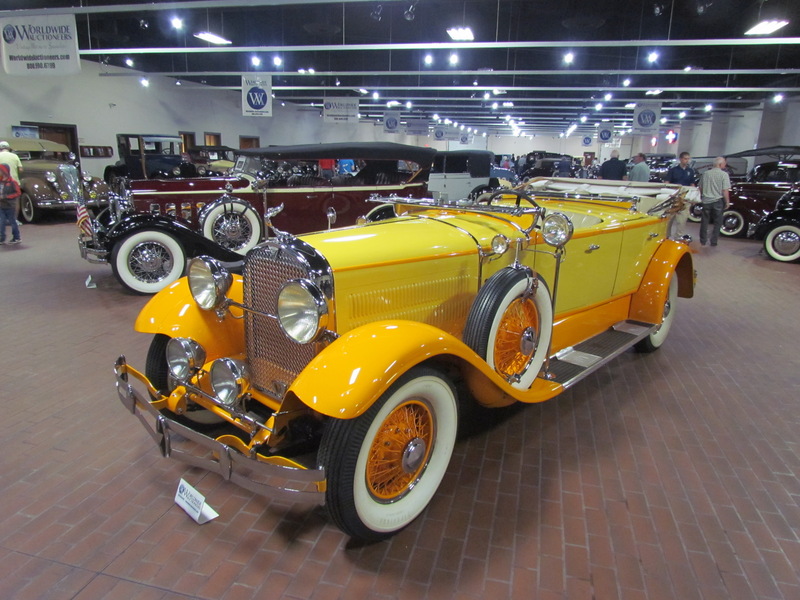 “Now other people can enjoy and preserve these cars,” said Mark Hyman, long-time and respected collector and classic car dealer who came from St. Louis, Missouri, to witness the sale. Andy Stone, a former insurance executive and veteran collector car auction staffer and consultant, was visiting clients in the Midwest and delayed his trip back home to Phoenix because he and his partner own a 1952 Hudson Hornet, are active in Hudson clubs in Arizona and Texas, and “I came because this is one of the saddest things I can imagine happening,” he said. The white or gray hair of many of those bidding provided visible evidence of Stone’s statement. Though children may know of Hudson because of the Doc Hudson character in the Cars animated movie, young collectors likely don’t know much about the brand or its affiliates, such as Terraplane and Essex, or that there were Railtons from Great Britain built on Hudson chassis. 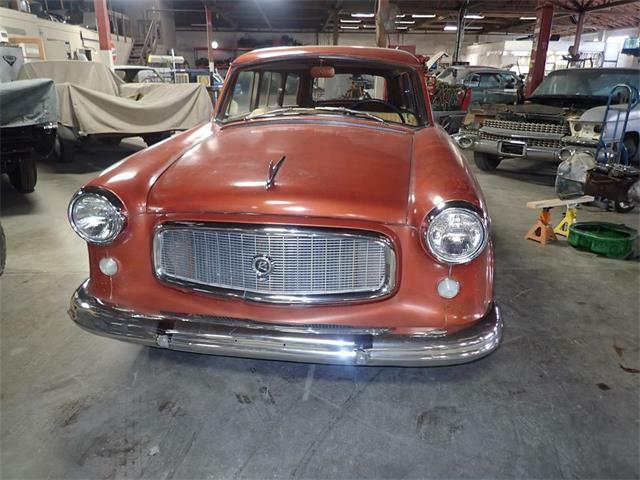 But those bidding did know about Hudson and its proud history, and the very first car up for bidding hammered sold for $1.15 million. 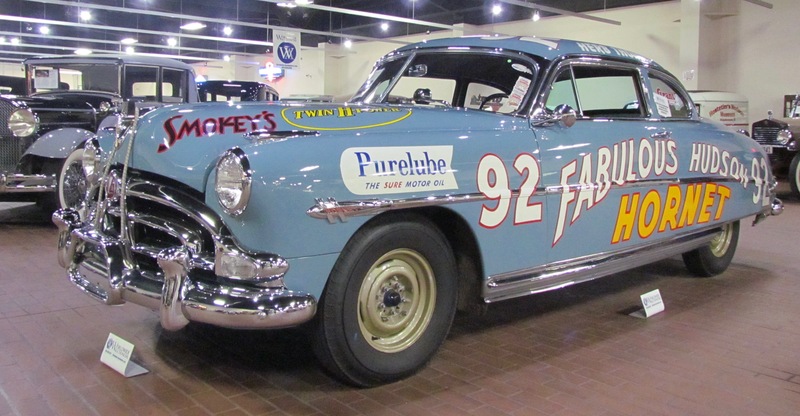 That car was the 1952 Fabulous Hudson Hornet NASCAR racer that was campaigned for two years by Herb Thomas, and is the last and only factory racer known to still exist. Oh, and if you ever doubt the value of such provenance, the second car on the docket was a 1952 Fabulous Hudson racer re-creation, and it sold for $150,000. Third one up was another real Hudson racer, the 1917 Hudson Shaw Special, and it hammered for $170,000. Throughout the sale, which included 69 vehicles, the bidding was entertaining with moments of drama and even humor. For example, the bid on a 1928 Hudson Series O town car with unique coachwork by Murphy was raised 25 times before the car sold for $285,000. Worldwide’s senior car specialist Charlie Kuhn pointed out that the 1936 Hudson Deluxe Eight convertible coupe being sold had been owned for many years by his father, who died last year, and a toast to the late Philip Kuhn was held before the first bid was taken on a car, which eventually sold for $147,500. Bidding on the 1936 Terraplane panel-delivery emblazoned with the museum’s logo was the subject of both intense and humorous bidding as Worldwide specialist Bob Wright talked on the phone with a call-in bidder, but spoke so loudly — Hey, that’s how Charlie is — that everyone in the room, including the person bidding against the phone bidder, could hear one side of the conversation. Eventually, the phone bidder got the truck, for $105,000. The bidding on a one-off 1937 Railton special limousine with Rippon Brothers coachwork featured a quick series of increasing bids, but then seemed to plateau. The bidders did regain their steam, but suddenly a new bidder joined in, casting a single bid — and took the car for $420,000. The automotive portion of the auction ended much as it had begun, with a star car, the 68th of the 69 up for bidding. 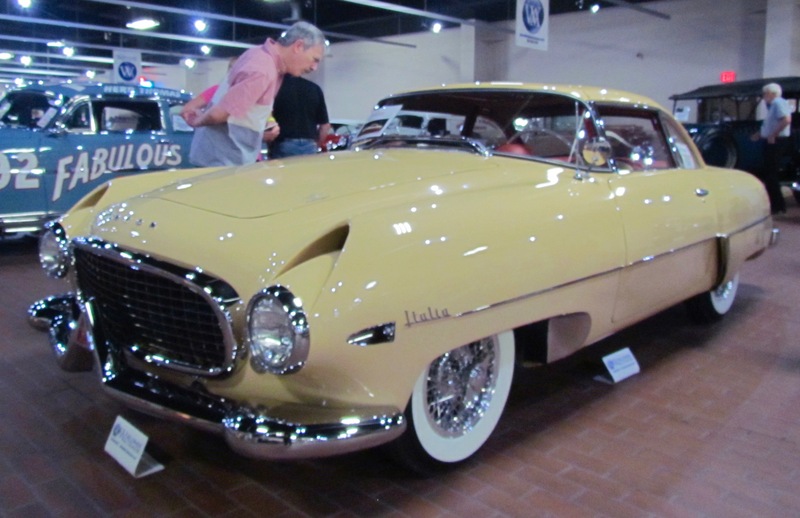 The car was one of only 26 Hudson Italias, and one of only 21 of the mid-’50s beauties known to survive. Almost immediately, bidding jumped to $520,000, plateaued for a bit, and then resumed, though at a slower pace, until the car hammered sold for $620,000. Overall, by my math, the cars sold for nearly $6.65 million, but the official auction total will be higher once items of automobilia and commissions are included in Worldwide’s official accounting. 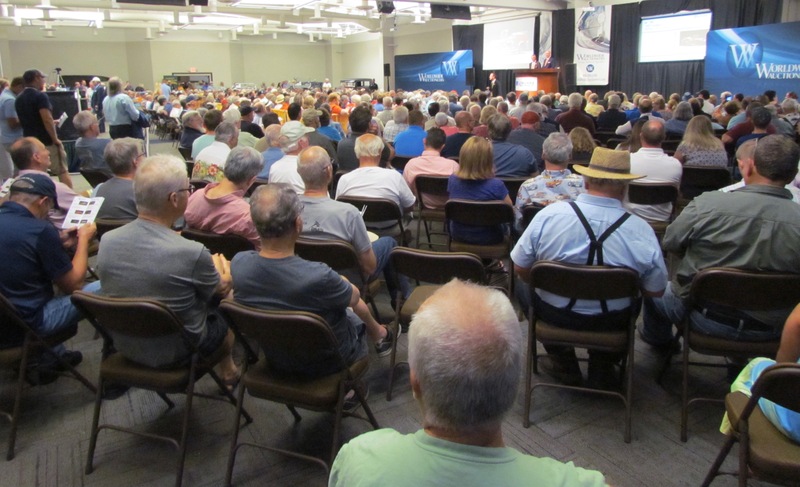 For many, however, this auction wasn’t about money, but about a man’s legacy and the preservation of important pieces of American automotive history.